Reiki (pronounced Ray-key) is a Japanese word meaning Universal Life Energy. An energy, which is all around us. Natural healing Reiki is the name given to a system of natural healing which evolved in Japan from the experience and dedication of the eminent Dr. Mikao Usui (d. 1926). Fired by a burning question, Dr Usui was inspired to develop this healing system from ancient teachings after many years of study, research and meditation. He spent the rest of his life practising and teaching Reiki. Today Reiki continues to be taught by Reiki Masters who have trained in the tradition passed down from Master to student. 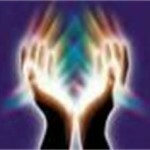 A Reiki Treatment is a very simple process. The recipient simply lies on a couch and relaxes. If they are unable to lie down the treatment can be given in a sitting position, the main thing is for the recipient to be as comfortable as possible. The practitioner gently places their hands non-intrusively in a sequence of positions, which cover the whole body. The whole person is treated rather than specific symptoms. A full treatment usually takes 1hour with each position held for several minutes. This form of healing is an holistic creative energy and therefore useful for preventing imbalance, assisting the body’s natural healing powers and maintaining the rebalance as a state of well being. It can be used most effectively as a self help technique as well as for the release of stress and relaxation and to restore the vital energy lost in daily life. Therefore creating good health!